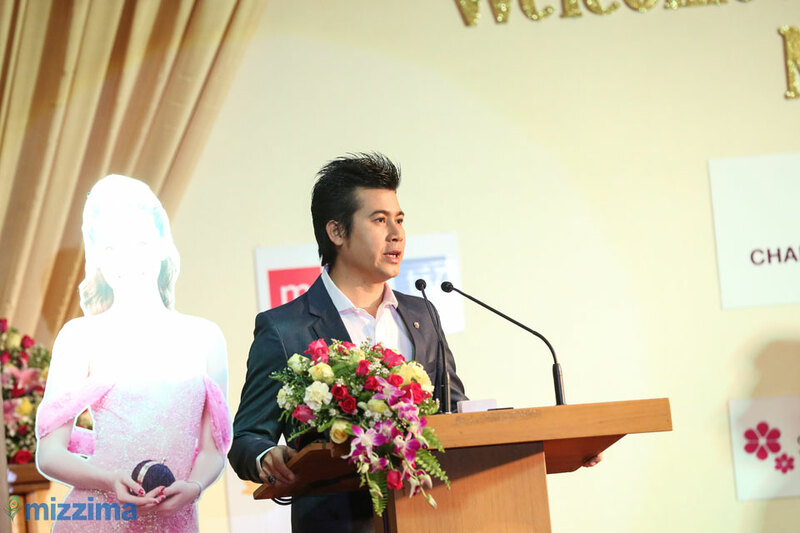 Vietnamese star Nguyễn Trần Huyền arrived in Yangon on 1 December at the invitation of Media 7 production group. The 1st Runner up winner of Miss Vietnam2014, she gained popularity in Myanmar through social media where she also came to the attention of Media 7 who went to Vietnam to ask her to make a movie in Myanmar. On 2 December, she visited Shwedagon pagoda in the morning while in the afternoon Media 7 productions held a welcoming ceremony and media introduction event at the Taw win Garden Hotel. Miss Nguyễn Trần Huyền will return to Myanmar in February to begin filming a movie with Nay Toe.